How to make basic nylon flower? 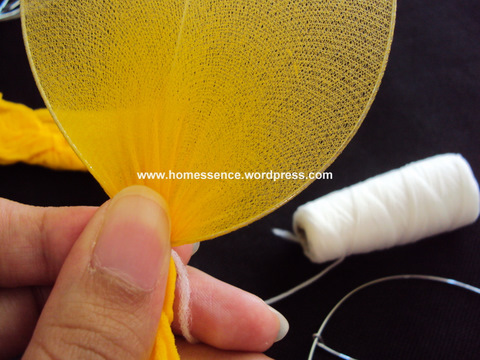 Today I am sharing an easy tutorial to make nylon stocking flowers. You can use this tutorial to make all sorts of handmade nylon flowers. 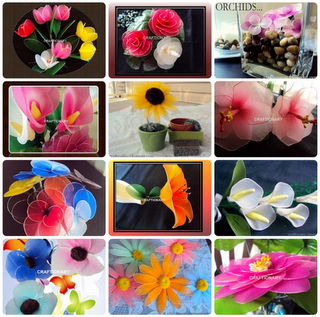 Once you understand the basics of these flowers you can make any flower using your imagination. 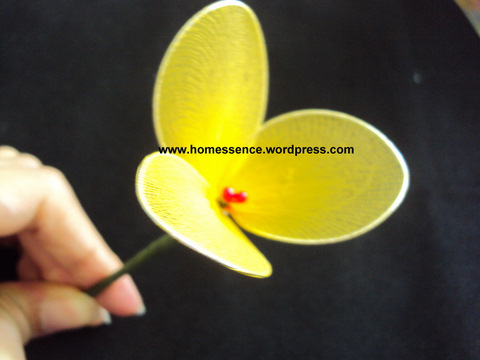 I will show you how to make a 3-petal basic flower. To make this flower you will only need. 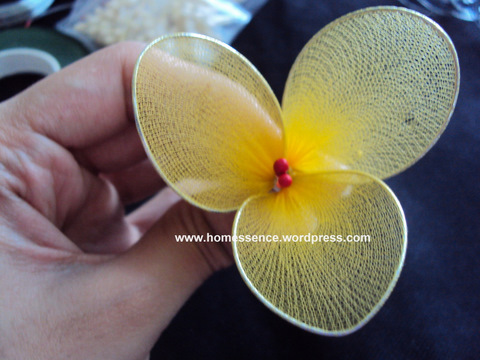 3 petals (made from wire). 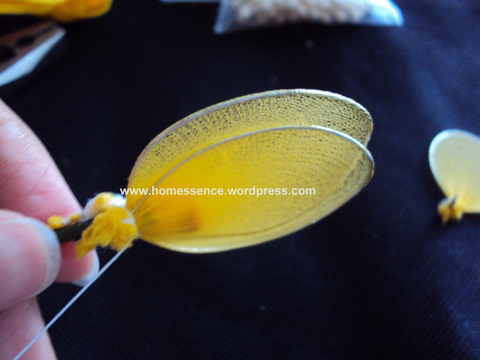 Stem wire (to thread the petals on!). 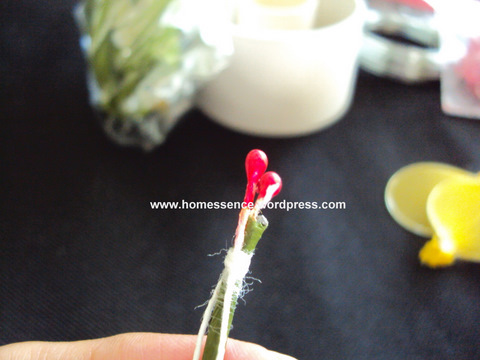 Red stamens (to make the bud of the flower). And twist and cut it with the help of a plier. You will need 3 petals for this flower. Now cover it up with stocking net. And thread the end tightly. Cut the excess stocking net with the scissors. It will become easier, to stretch nylon on the wires. Use the thread to join the stamens first. 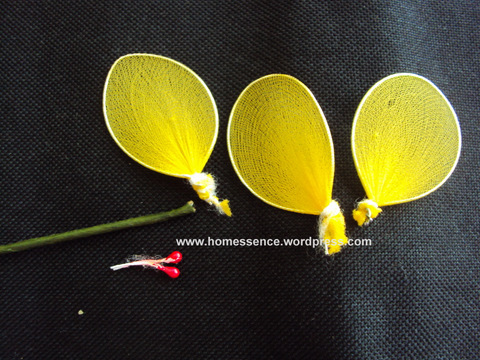 And then thread each petal to the stem one at a time. 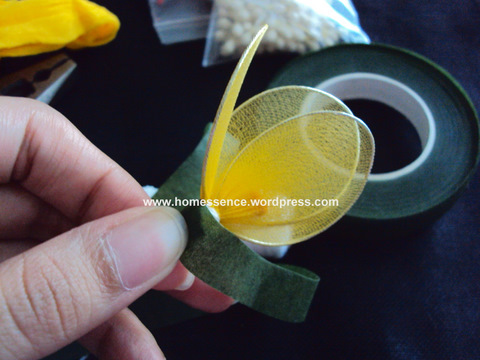 Wrap the floral tape around the stem wire. 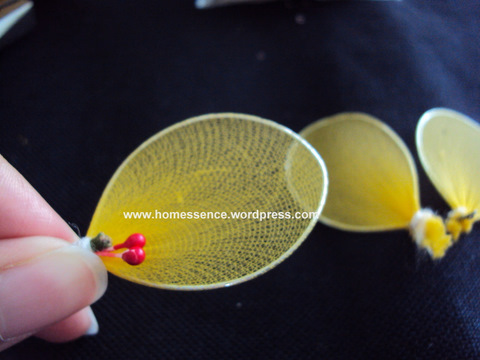 This will hide the thread and wire below the petals. And the flower is ready. 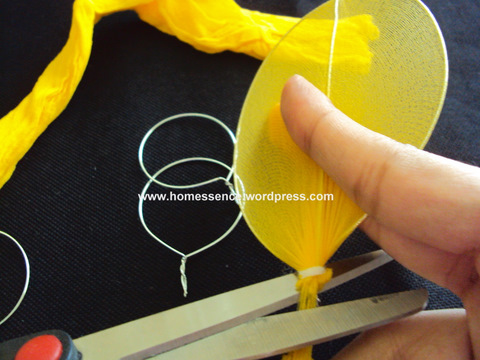 I hope you enjoyed this easy basic nylon flower tutorial. A lot of people ask me about nylon flowers. You can find all the information about material and more HERE. More tutorials on Nylon Flowers. Find tutorials to make all the flowers you see in the image above. Check out our category FLOWERS. You may also enjoy the Handmade Flowers and Lovely Projects Boards. What a wonderful tutorial, thank you so much for sharing. By the way you have a beautiful family. 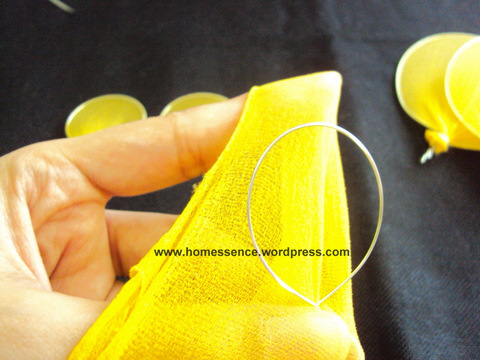 can u tell me that from where i will be able to be buy stockling, ring, stem wire.i live in karachi .plz tell me the shop name. I don't know any specific shop in khi.. but I think you can definitely find it any crafts shop, it is very common.. hope that helps!